I'm not that much of a sports enthusiast, but author Fredrik Backman made me understand completely the passion that goes into a sport like hockey. Beartown is a small community and having a great hockey team is really the only thing it's known for. People "survive" in Beartown, but they take unbelievable hope from their teams. When the book begins, the Beartown junior hockey team is about to compete in the national semi-finals. This burden to win is heavy on the shoulders of these teenage boys, who believe that hockey is in their blood, sweat, and tears. 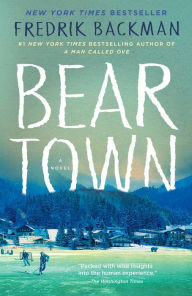 Most people in the community think that if the team wins in the semi-finals, Beartown will change forever, but what really changes it is a violent crime that occurs on that same night. No member of the town will be unaffected by the crime, and it is in this moment that the book's pace really picks up. Backman has a way of making the reader feel that they are flies on the wall IN Beartown, and it is his writing and unforgettable characters that make it such a heart-pounding read. 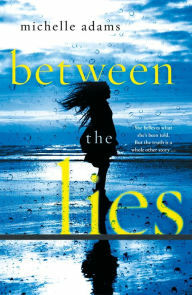 Michelle Adams's Between the Lies has a premise that should hook you immediately: What would happen if you woke up and couldn't remember a thing? Such is the case with the main character Chloe Daniels. She wakes up in a hospital with absolutely no memories of how she got there or who her family members are. Sounds interesting, right? It certainly does, but the payoff at the end is just not there. As Chloe goes through her recovery at her parents' house, she tries to put together the puzzle pieces of her life. She knows she was in an accident and that the accident involved her young son. Was she responsible for it? Her father specifically attempts to help her, but Chloe is not sure the methods he is using is good for her. As the narrative evolves, Chloe begins to figure out bits and pieces until she finally remembers what truly happened. I am usually not one to figure twists out easily, but this is actually pretty simple. I think the problem was that I didn't find the story as a whole plausible, which I believe a mystery novel needs to be. 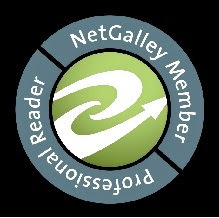 In addition, the reader doesn't find out much of the backstory behind what led up to the accident, so the payoff isn't rewarding. This is one I just didn't enjoy all that much. Ken Wells’ newest book is a reflection of his life’s journey through the Louisiana Bayou. It’s the story of how a dish became one of the signature Cajun cuisine creations but also a mirror in many ways of the American melting point. Gumbo Life is an entertaining, soulful collection of Wells’s journeys through Louisiana as he seeks out answers to the evolution and development of this distinctive dish. Gumbo, if you are not a foodie, is a stew-like dish of meat, sometimes with or without shellfish, with peppers, celery, onion, and okra. It is well-seasoned and slow-cooked before often being served over white rice. The origins of gumbo come from a blending of several different cultures and cuisines, each adding a little more flair and flavor to the dish as it developed. We learn in the book that this dish has local flair, regional variety, and even international renown and Wells expertly details that evolutionary process in two distinct paths. The first is through the work of others like Paul Prudhomme, the second is the evolutionary process within his own family and his own life. Gumbo Life reflects much about life on the Bayou and the namesake dish of the book; a melting pot of traditions, flavorful and authentic, simple in explanation yet an evolution of complexity that takes time and patience to properly figure out. This book will fill your soul with a feel-good tale of a dish that’s reflective of our nation’s blended heritage...and will leave you wanting to find a hearty bowl of gumbo. Let’s eat! 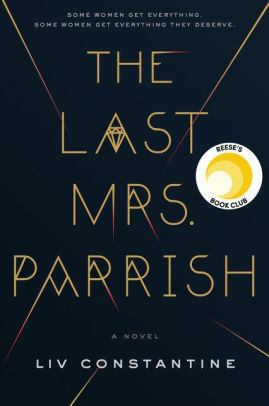 Novels featuring two women and one man have been done to death, but none quite in the same way as Liv Constantine's The Last Mrs. Parrish. Some have said there is a similarity between this and the stellar The Wife Between Us. While I can definitely see where there would be a comparison, the fact of the matter is that they are both highly original and utterly addictive. Amber Patterson wants a new life and sets her sights on getting the gorgeous and rich Jackson Parrish away from his current wife, Daphne. Jackson and Daphne seem to have it all -- a spectacular house on the water, two beautiful children, and everything money can buy. Amber wants Jackson and the life he can provide and will do anything to get her way. But, of course, all is not what it seems. While the first part of the book focuses on Amber's scheming, the second part goes into Daphne's life. This part is so much better than the first, with each page revealing more secrets and twists that had me gasping. That's really all I can say without giving too much away. Just know that if you think you know where The Last Mrs. Parrish is going, you probably don't. 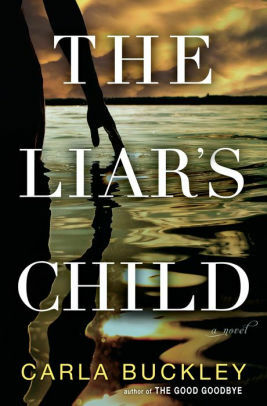 The premise of Carla Buckley's The Liar's Child is definitely an attention-grabbing one. It seamlessly combines the stories of a woman in the Witness Protection Program and an entire family in crisis. Throw a deadly hurricane into the mix, and you have all the makings of an absolutely gripping novel. At times, it certainly was that, but in other instances, it didn't quite live up to its potential. Sara Lennox (a fake name, of course) has had a troubled past and is taken to create a new life for herself in the Outer Banks of North Carolina. She becomes a housekeeper and resides in the community of Paradise, which it most definitely is not. Whit and Diane Nelson, along with their two children, Cassie and Boon, live next door. Sara almost instantly can pick up that things are not right with this family. Their lives intertwine in a few ways throughout the book, most notably when a hurricane hits the Outer Banks. Sara must make a quick decision, one that may turn out to have dire consequences. When The Liar's Child began, I could not turn the pages fast enough. I found the middle to be a slow read, but Buckley does throw in a few twists that left me genuinely surprised. The ending is what caused me to have very mixed emotions. There were questions that were left unanswered and that was deeply unsatisfying. However, there are a few pages in the book that make no sense when you read them but come together for a heartwarming conclusion at the end. You might remember the commercial of Pinocchio as a motivational speaker, encouraging attendees by saying “You have potential!” before his nose grew and grew with each successive falsehood. 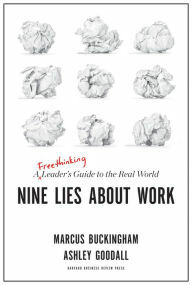 The adage that we have potential in our careers and lives is one of nine lies that Marcus Buckingham and Ashley Goodall expose in Nine Lies About Work. They instead argue that we have momentum, not necessarily potential. The authors break down several myths about workplaces and the career world, from people caring about which company they work for to leadership being “a thing” (their words). Through research, studies and data, they break through these corporate myth silos and replace them with various truths of how company success and employee engagement happens. One memorable myth deals with the infamous employee performance review and how people can reliably rate other individuals. Without giving too much away, there’s more to busting that myth than unconscious or conscious bias at play; some of us are just too benevolent or too tough in comparison to our peers and other reviewers. I found this section fascinating. The research in Nine Lies About Work was on point and thought-provoking but, at times, unconventional. Given many individuals in the corporate world still rely on the mentality of “Well, that’s the way it’s always been” way too much, providing truths to challenge workplace myths may help move corporate performance, employee retention, and overall personal happiness up a notch or two. This book challenges all of us to think differently about not just our role, but the role others play in the work we do each day. 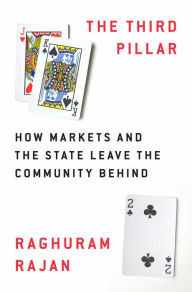 Raghuram Rajan's The Third Pillar offers a scholarly look at the three-legged stool of communities, states (government) and markets, as well as how the latter two have left many communities behind. This, Rajan argues, has fueled the rise of populism throughout Europe and the United States. The author spends a fair amount of time articulating a history of the balance between market, state, and community going back to the Middle Ages. He demonstrates how the role of each of these three legs grew in strength or weakened based on numerous factors and how the most balanced time period was largely just after World War II. This coincided with strong economic growth and general balance in personal income. However, due to numerous factors, the balance of these three has grown further and further out askew. The result has been growing economic inequality, insecurity, and a rise of nationalism. Rajan offers several suggestions of balanced management of growth, regulatory reform, a basic social safety net for national citizens, and greater corporate competition amongst companies to limit influence in politics. Most of his approaches are tactical in scope and focus on broad-based, reasonably moderate (by global standards) fixes to adjust to a landscape where more and more individuals feel left behind. The underlying belief that Rajan puts forth is that power is strongly concentrated in nations and companies at too high a level to allow individuals to feel that their lives and economic outcomes can matter. The Third Pillar can come across as a wonky, technical read, but it offers a host of solutions without being overly preachy. It could benefit from adding more data and research in a few areas to show where some of the suggestions would yield greater benefits, specifically around education and around skills training. Otherwise, it’s a solid work of economic research.